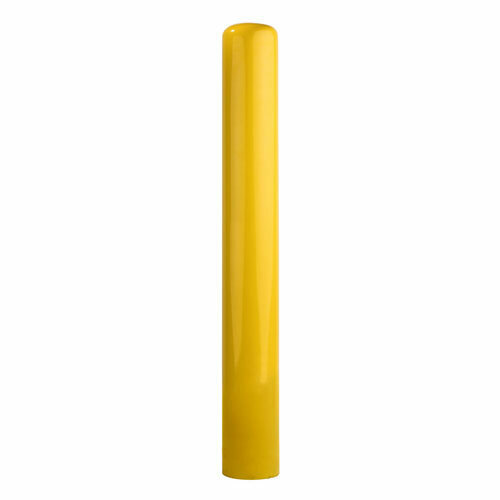 1-800-Bollards line of Security Bollards is the most cost-effective way to protect any perimeter. All 1-800-Bollards Fixed Bollards are installed into permanent footings. Offering 7 different diameters and 3 different wall thicknesses, the combinations of fixed bollard styles are endless when it comes to protecting your most important assets. 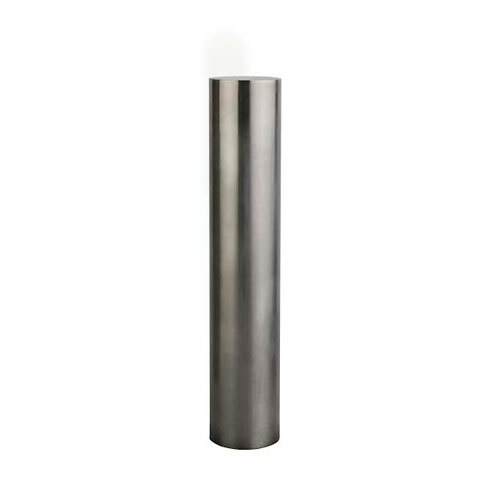 Fixed Bollards are manufactured from carbon steel available in 200+ powder coat colors or from stainless steel in either Type 304 or Type 316 for harsher environments, and the stainless steel is polished to a #4 finish for long-lasting durability. Baseplate Mounted Bollards are typically used when excavation is difficult or on a suspended slab, as in a parking garage. 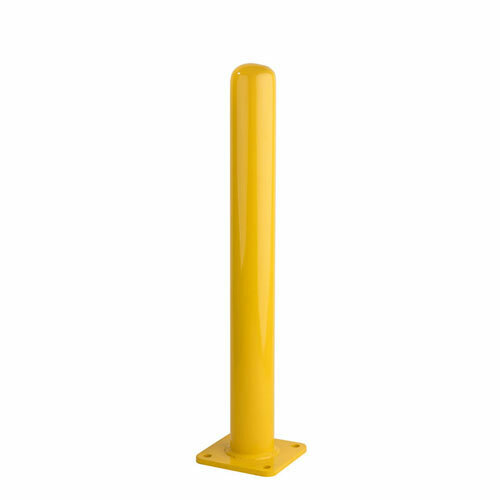 Baseplate Mounted Bollards are also used extensively in warehouse environments to protect shelving and doors from moving forklifts. Baseplate Mounted Bollards are manufactured from carbon steel available in 200+ powder coat colors or from stainless steel in either Type 304 or Type 316 for harsher environments, and the stainless steel is polished to a #4 finish for long-lasting durability. 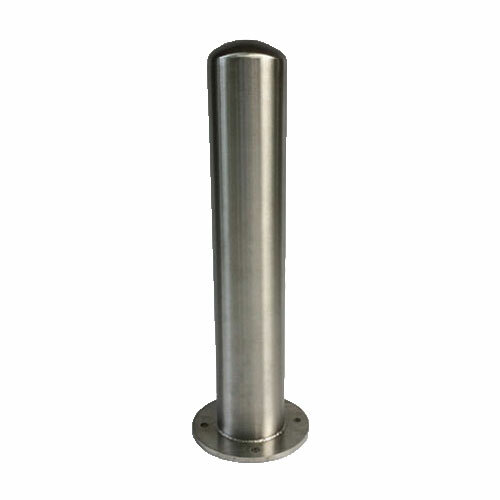 X-Framed Bollards are galvanized and are manufactured in both deep mount and baseplate mounted styles.